Please visit the user guide for questions that are not addressed on this web page. Please email servicedesk@rit.edu. Include the browser and browser version you were using, what you were doing at the time you received the error, any screen shots of error pages and your contact information. Someone will get back to you within 24 to 48 hours. You may also call 585-475-HELP. How do I get information on my job application status? For information about the status of your application, please log into your profile at http://careers.rit.edu and select the "Job Submission Status" link on the left. If the status of your current application is in an active status (such as pending review, screening, interview or offer), your application is still under consideration. Human Resources will not be able to provide additional information regarding your application status since all review and updates are performed by the hiring department. How do I know which talent gateway to use when I apply to an open position? If you are a regular RIT faculty or staff member, you should log in to the INTERNAL Career Zone gateway at http://careers.rit.edu/internal using your RIT Computer Account. External applicants, students, temporary employees and adjuncts must apply through either the external staff or faculty gateway at http://careers.rit.edu. How do I view postings that I applied to that are no longer open? Log in to either the faculty, staff or internal employee talent gateway at http://careers.rit.edu and select the "Resume/CV Manager" link on the left side. Then click the VIEW SUBMISSIONS link next to the resume that you used to apply. You will then find hyperlinks to the Job Titles and by clicking on them, you can view the posting/description. How do I find my saved application drafts? Return to your logged in home page and click on the "saved drafts" link. From there, you will be able to continue working on any of your "in process" applications. Are there file size limits for documents loaded to my applicant profile? There is a limit of 5 different resumes, 5 different cover letters and 15 attachments on your applicant profile. EACH document and each attachment has a file size limit of 5mb. Cover letters which are typed in and not uploaded have a limit of 4000 characters. Yes, you may upload a cover letter on the Resume/CV/Cover Letter page of your application. 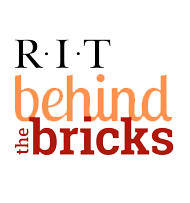 You can send an email to careers@rit.edu and provide your name and the BR number you wish to withdraw from. You must send the email from the email account you applied for the job with. What happens if I get an error message while completing my application? Please use the “Forgot your password” link on the front of the Career Zone login page. You may have to wait 15 minutes between password resets. If you do not receive the email, or are still having problems with your login, please email careers@rit.edu . Make sure you include your contact information. If I just submit my resume/cv or cover letter using the "Submit Resume/CV link" on the front of the application site, and I do not apply for a specific job, will I be considered? While you may use this feature to submit your resume/CV to our talent management system so that you can set up a profile for future use, we only accept and regularly review applications for open positions posted on the Career Zone Applicant site. It is strongly recommended that you search for a specific opening that meets your qualifications and apply directly to that position. Even though you may receive an email system acknowledgement from the system with a candidate reference number, unless you have actually applied to a specific job, you are not considered an applicant.